In their August issue, evo (UK) has published the Summer Tyre Test 2015. The tested tire size was 225/40 R18, test vehicle VW Golf VI GTI. In their June issue, Auto Express (UK) has published their annual Summer Tyre Test 2015. The tested tire size was 225/45 R17 94 Y, test vehicle a VW Golf VII. The test was conducted by Auto Express on Continental's proving ground in Uvalde/Texas/USA. 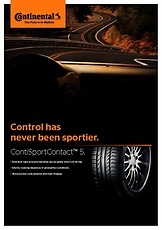 "Conti dominates both handling and braking on all surfaces." "Conti tire feels lively, sharp and eager to turn"
"Second win on the trot in our 17" test for a remarkable tire"
The Polish magazine "Motor" has published in their issue (14-15/2015) their Summer Tyre Test 2015. The tested tire size was 225/50 R17 W/Y, test vehicle a BMW 328i. The test was conducted by Motor on Continental´s proving ground in Uvalde/Texas. The German magazine "sport auto" publishes in issue (05/2014) an UHP Summer Tyre Test. The tested tire size was 225/40 R18 Y and the test vehicle a VW Golf GTI. The ACE (Auto Club Europa) and German GTÜ (Gesellschaft für Technische Überwachung mbH) have published their Summer Tyre Test 2014. 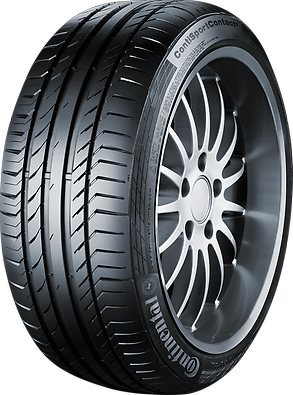 The tire size is 225/45 R17 tested on VW Golf and Seat Leon. have published the Summer Tyre Test 2013 on their homepages.